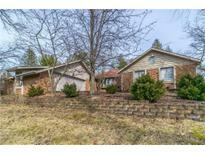 Below you can view all the homes for sale in the Ridge Hill Trails subdivision located in Indianapolis Indiana. Listings in Ridge Hill Trails are updated daily from data we receive from the Indianapolis multiple listing service. To learn more about any of these homes or to receive custom notifications when a new property is listed for sale in Ridge Hill Trails, give us a call at 317-973-0966. Plenty more space outside with the four seasons room/greenhouse, patio, shed with electricity and water, and a heated garage with extensions and workshop!!! ! MLS#21628582. T&H Realty Services, Inc.. Very deep with a lot of room for storage or work benches. MLS#21627428. Keller Williams Indy Metro S.
Large Two-Car Garage, Deck, Mature Trees. MLS#21627052. The Modglin Group. Enjoy the screened in BACK PORCH overlooking FULLY FENCED backyard w/basketball goal. MLS#21616630. 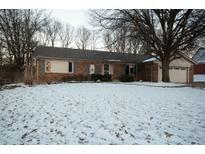 Indiana Realty Pros, Inc..
Home has 2 brand new tankless water heaters. 3-car garage. .93 acre lot. MLS#21623787. Sold It Realty Group. Excellent location, near schools, dining & shopping! MLS#21610027. Keller Williams Indy Metro S.
RIDGE HILL TRAILS - Tri-Level with finished Basement In Perry Township, 4 Bed, 2.5 Bath, Entry Leads Into Large Living Rooms, Dining Room/Kitchen Combo, Kitchen with new Solid Surface Counter Tops, Lots Of Cabinet Space & Overlooks Beautiful Wood Burning Fireplace In Family Room, Family Room Also Leads Out To Back Patio, Laundry On Main Level w/ Storage Cabinets, Master Walk In Suite On Upper Level w/ His & Her Closets, Updated Master Bath w/ Full Walk In Shower, Upper Level Beds 2-4, All Bedrooms Are Large w/ Hardwood Oak Flooring, Updated Half Bath, Finished Basement w/ Daylight Windows & Wet Bar, 2 Car Attach Garage w/ Storage & Attic Access, Large Lot w/ Mature Trees & 16x10 Mini Barn, Roof - 2017, Windows - 2011. Must See! 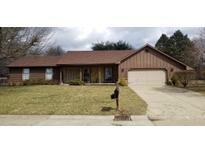 MLS#21592423. Jeff Paxson Team.